der wahnsinn hat methode: neuinterpretation der dub-blaupause -super ape-. 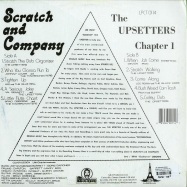 nachdem er sich mit sir coxsone, dem legendären chef des kingstoner labels studio one, zerstritten hatte, gründete lee perry zuerst seine eigene band und dann, 1973, im hinterhof ein eigenes studio. was aus der not geboren wurde, entwickelte sich zu einer einzigartigen erfolgsgeschichte. sowohl mit den upsetters als auch dem black ark schrieb perry musikgeschichte, insbesondere durch das 1976 veröffentlichte -super ape--album, auf dem er gewissermaßen das genre dub auf unbekannte weise aus dem mischpult brodeln ließ. für perry ist das studio wie ein lebewesen. ob er es wirklich so empfindet, oder einfach nur zu viel ganja in rauch aufgehen lässt, aber bei perry ist das equipment organisch, empathisch und intelligent. der clou: so hören sich die resultate auch an! lange bevor man das sampling erfunden hatte, schichtete er tonspuren aus tiefen bässen, echos und hall mit diversen, selbst aufgenommenen, gerne rückwärts laufenden klangsequenzen auf-, in- und übereinander. heißt: perry war der erste produzent, der anstatt der band die musik machte. das brachte ihm unter anderem den titel salvador dalí des dub ein. 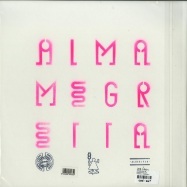 dass der Über-80-jährige bis heute nichts von seiner experimentierfreude verloren hat, zeigt der mit dem new yorker subatomic sound system besorgte re-edit seines meilensteins. 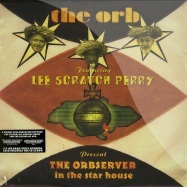 this 3 track ep from the legendary lee perry brings together new and unreleased tracks recorded at mad professor s ariwa studio in south london. 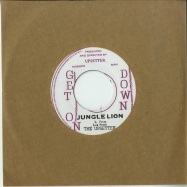 the ep kicks of with this is the upsetter, which sees lee chanting and philosophising over a rollicking bass, underpinned by understated guitar and perfectly placed hats, and continues to the straight up dub, lion share dub . 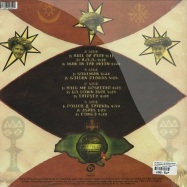 and on the flipside is the title track, game of the throne , with brass section and backing vocals belting out soul fire, with lee offering his words to selassie. 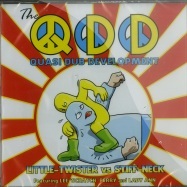 mastered by the legendary noel summerville, artwork by henry dubroot alderson and g.s-l studio. few artists enjoy a legacy that involves a re-engineering of the very genre in which they work. 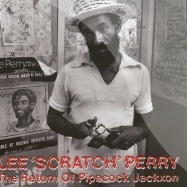 lee “scratch” perry is such an artist. 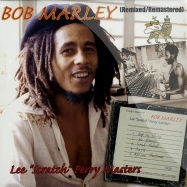 as a pioneer of dub reggae perry viewed the mixing console as musical instrument in its own right. 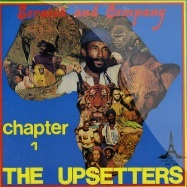 the influence of his revolutionary approach has been felt world-wide and into genres far beyond reggae. his 1976 effort, super ape, is considered a masterpiece of this or any genre. 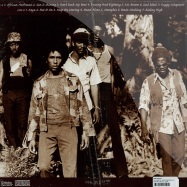 working with the upstetters at his black ark studio perry created a sound with such a lasting appeal that the rough guide includes super ape as one of their 100 essential reggae releases. this limited edition reissue contains a 22x22 inch super ape poster. deadbeats dub credentials are by this point are as solid as they come, and being asked to remix 2 of the genres heaviest hitters, not once, but twice is just about the greatest complement anyone in said position could ever hope to receive. 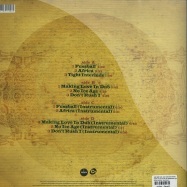 limited coloured double lp package includes free download code !! hinter 2the orbserver in the star house2 verbirgt sich eine kollaboration, mit der niemand gerechnet hätte, die aber zweifellos sinn macht. 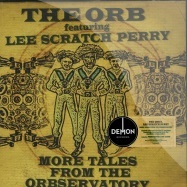 immerhin haben the orb und lee scratch perry mit ihren experimentierfreudigen veröffentlichungen mehr als einmal den gelungen versuch unternommen, mit bass und hall im gepäck die sphärischen tiefen und weiten des alles umgebenden soundkosmos zu erkunden. 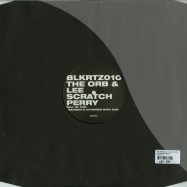 während für die dub inspirierten abenteuer von the orb ambient und techno pate standen, bezog sich lee scratch perry stets auf reggae in allen schattierungen. dass sich diese ansätze wunderbar miteinander verknüpfen lassen, stellt 2the orbserver in the star house2 unnachahmlich unter beweis. für dessen produktion schufen orb-mastermind alex paterson und floating member thomas fehlmann in dessen berliner studio in bewährter frickelarbeit eine warme, zurückgenommene geräuschkulisse, in die lee scratch perry seine knarzige, nicht imitierbare stimme perfekt einbrachte. für dub-aficionados essentiell! 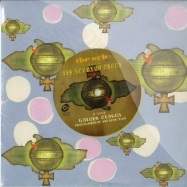 ltd green coloured 7 inch edition, an ultracool collaboration between the orb and lee scratch perry. 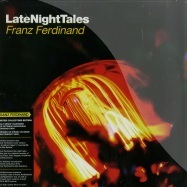 heavyweight 180 gram vinyl pressing, includes free cd-copy of the full album. 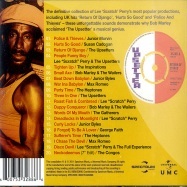 a historic compilation of bob marley tracks - newly remixed and remastered from the original 1970 lee scratch perry masters! features some of marleys most influential and revolutionary work including >sun is shining<, >dont rock my boat<, >african herbsman<, >mr. brown<, >soul rebel< and more! 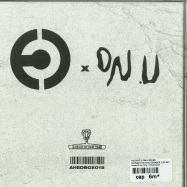 additional production done by german producer and founding member of industrial band die krupps, who took perrys original masters and added several new elements to these famous tracks, including 3 new dub versions not found anywhere else! 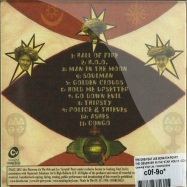 this is a cant miss collectors item for the legion of marley fanatics and reggae music lovers! 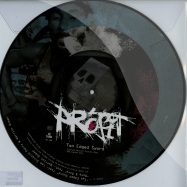 limited picture disc - limited to 300 copies worldwide! 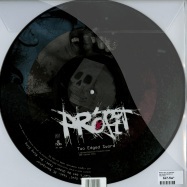 have-a-break present: profit – two edged sword ep feat. lee scratch perry, warrior queen, mc navigator and dr. ring ding. berlin techno city? true! 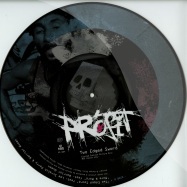 ...but profit is battling against the odds to push a new berlin flavour by hooking up with some original soldiers of reggae/bashment culture. 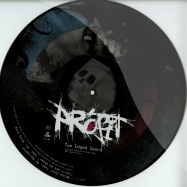 with their debut ep which carries cutting-edge beats combined with a powerful calibre of vocalists including london soundboy/jungle legend mc navigator, warrior queen and living legend lee scratch perry, profit are ready to blast this new sound into orbit. 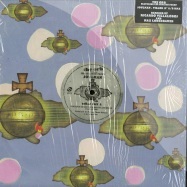 nu sound and version is an 11-track album of re-workings, re-mixes and re-recordings of tracks originally recorded by lee perry and produced by adrian sherwood and the on-u sound crew. excellent mala dubstep mixes !! 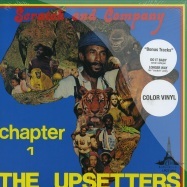 we are now part of the lee perry universe and very proud to announce the release of the double-vinyl of this great album with the freshest and strongest performance of the mighty upsetter in years! 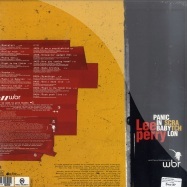 as one of the most innovative legends in the history of reggae music, lee perry presents his new dub poetry project. supported by the white belly rats, a new dub combo who composed the musical landscape, mr perry, always as upsetting, offers us powerful dub songs essentially inspired by his spiritual journey and the critical world situation. 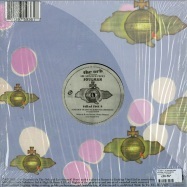 double-lp-edition in gatefold cover, including two additional live-tracks. nice price deal !!! 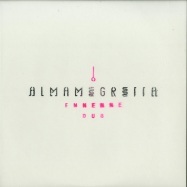 a unique collaboration bethween the fathers of ambient house and the father of dub. 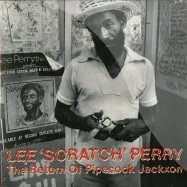 lee perry aka scratch, the upsetter, the super ape, pipecock jackson and on genius, madman, visionary, lunatic, shaman? probably guilty of all as charged. rise again the title should speak for itself. a clear and direct collaborative projection that transforms pop music production into an art form all of its own. like an ageless tribe of lazarus, lee scratch perry just keeps coming back. 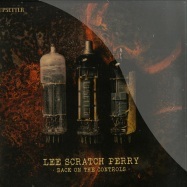 this time out, the upsetter celebrates his 75th year on planet earth with the release of rise again - a crucial set of eleven all-new songs, mixed and produced by bill laswell and featuring vocals by tv on the radios tunde adebimpe, ethiopian chanteuse gigi shibabaw and jamaican toaster hawk(man). 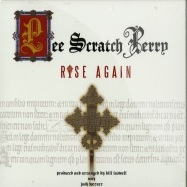 rise again is not just another echo-drenched, bass-heavy, psychedelic dub release, that perry helped invent back in the early 70s, but this record goes deeper into the rasta mysticism (and you thought it was just about smoking herb) that provides the key to understanding scratchs trip. 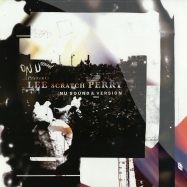 on-u sound presents lee scratch perry nu sound and version to give it it s full title - contains reworked, remixed and re-interpretated versions of 11 adrian sherwood-produced lee perry classics. 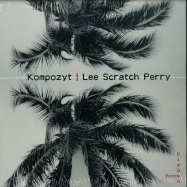 reggae legend lee scratch perry first began working with on-u sound in the late 1980. initially working with style scott s dub syndicate rhythm section, he then collaborated with adrian sherwood on time boom x de devil dead in 1987 and from the secret laboratory in 1990. he would return to the label in 2008 to release the mighty upsetter and it s companion-piece dub setter. 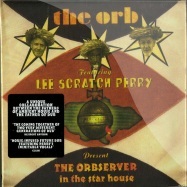 the tracks on this album see lee perry receive some of the most radical treatment his work has ever had, as his distinctive vocals bob and weave in the midst of bass, rave riddims and extreme experimentation fashioned from the imaginations of some of todays most cutting-edge, dub-influenced producers. 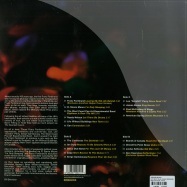 newly commissioned versions by bullion, congo natty, dialect & kosine, and adrian sherwood make their exclusive debut appearances here, alongside productions plucked from the sought after series of limited 12 s by kode9, mala of digital mystikz, moody boyz, horsepower productions, and pempi. 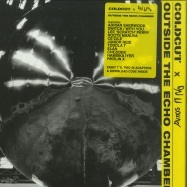 all original recordings produced by adrian sherwood. 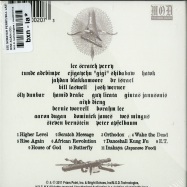 originally released in 1980, this album is the final work to emerge from the black ark. huge tip!it concludes a series of such lp masterworks as super ape, war in a babylon, police and thieves, and the return of the super ape. enthrallingly, it crosses the soundworld of roast fish collie weed and cornbread with new hybrids — like the irresistible elevenminute opener, rolling and delirious, a kind of reggae prophesy of marvin gayes sexual healing, but musically richer, and more glazed, randy and visionary. 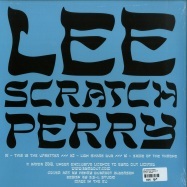 this is one of the last great lee perry dub albums - an essential release for anyone with an interest in dub, lee perry, reggae, sound system culture, and music in general! 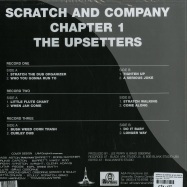 in the 1970s sound system culture one mans productions could be heard in exclusive mixes. 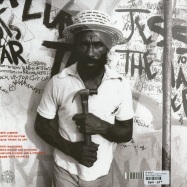 that man was lee scratch perry who, more than any producer or performer of the time, used dub plates for one-off projects and mixes: his specials are the thing of legend. 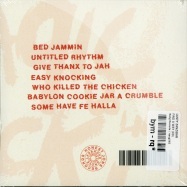 this will be an essential release for anyone with an intrest in dub, lee perry and reggae music in general. 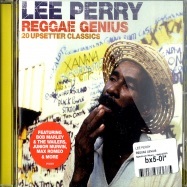 it is one of the last great lee perry dub albums. 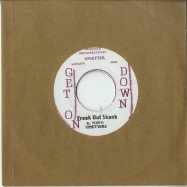 eine sensation für die lee perry fans und sound-enthusiasten mit dem guetesiegel pressure sounds! 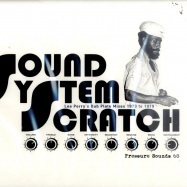 auch lee perry versorgte zu den legendaeren black ark zeiten (1973 - 1979) die sound systems mit dubplates, exklusiven remixen und specials. 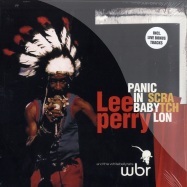 hier handelt es sich um das letzte große lee perry dub album aus den 70ern in exklusiver erstveroeffentlichung! 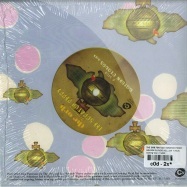 limited re-issue on coloured & marbled triple 10 inch vinyl with 2 bonus-tracks in a sturdy box. 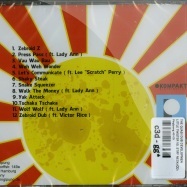 we are delighted to share with you a 7” single from kompozyt’s debut album “synchronicity”. brother-duo kompozyt is also the driving force behind trees will remain recordings, london based label that is highly influenced by nature, its beauty and patterns, and serves as a reminder for humans to preserve it. 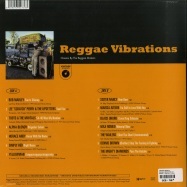 14 classics by the reggae masters. kologo und hiplife: ghanas superstar zwischen tradition und moderne. 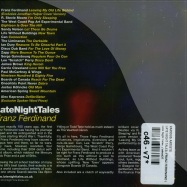 das 180 gramm vinyl erscheint im klappcover inklusive downloadcode. 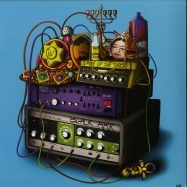 die doppel-lp erscheint als limitierte 180g pressung mit 19 von 20 ausgespielten tracks, audiophil auf halber geschwindigkeit gemastered, inkl. 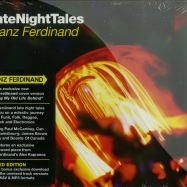 bonus-download-code mit allen tracks (einmal komplett ausgespielt, einmal als mixset) in wav/mp3-formaten, inkl. 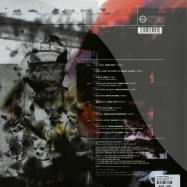 30x30cm kunstdruck, im gatefold mit antistatischen innentaschen. in the finest dub tradition, mark stewart has returned to his highly-acclaimed >the politics of envy< album, sonically savaging it into a new monster, suitably entitled >exorcism of envy<. 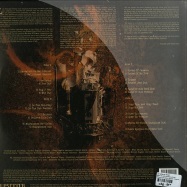 limited edition double vinyl release, includes cd-copy of the album and a poster.